Apple might have one less potential iPad killer to worry about this year. With the purchase of Palm by HP for cool $1.2 billion, plans for the Slate are suddenly up in the air. 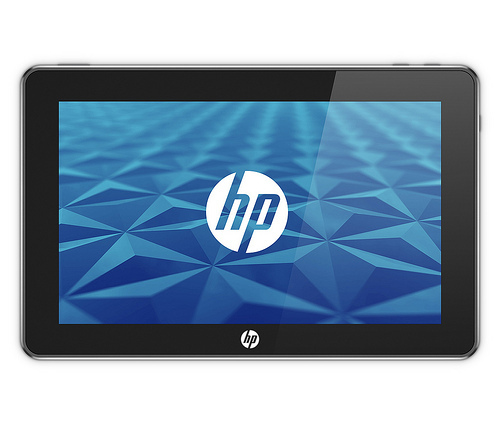 According to the Business Insider, HP has become evasive about when- or if- it will still release the HP Slate. When asked about the Slate, HP’s Todd Bradley said that “We haven’t made roadmap announcements.” Bradley also said that they would expand on details on the Slate once the Palm deal was concluded, which is not expected for a few months at least, sometime in HP’s third quarter, which ends at the end of July. Many feel that the purchase of Palm was partly to increase HP’s presence in the smartphone market, but also as a measure to end reliance on Microsoft’s OS. Palm’s webOS is a perfect fit on that measure, but attempting to refit the Slate with an unfamiliar OS could take months, and with the purchase still in the legal stages, it could be next year before we see a Slate – all assuming HP does not scrap the project entirely in favor of something new. The inclusion of the webOS is not necessarily a given, but it is unlikely that HP would purchase Palm and neglect one of the few high points of the beleaguered smartphone maker. If the Slate goes ahead with the Microsoft OS, it would likely be a single model that might not appeal to consumers that could soon find themselves without support from HP. If webOS does become the OS for the Slate, the change in development could take months to fully integrate. So it looks like Apple might have one less challenger to fend off this year, but we won’t know for sure until the Palm purchase is concluded later this summer.